Desperate Conjuring is an epic Intelligence action card. It is part of the Core Set. 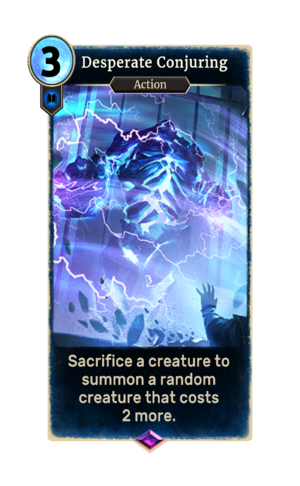 The card's art depicts a Storm Atronach being summoned. If no creature is available at the magicka cost, the card will create an Ancient Giant.